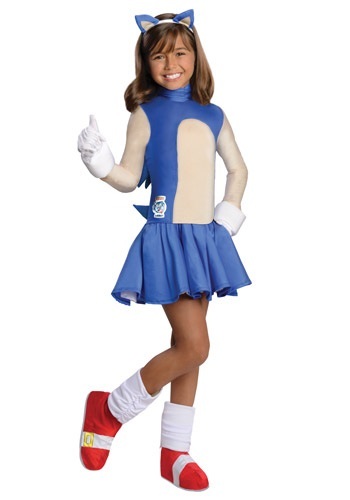 Your little girl will have a blast speeding around the Green Hill Zone when she wears this costume based on everyone's favorite hedgehog, Sonic. This is an adorable look for your tiny gamer to wear this Halloween. When she is dressed up as the speedy hedgehog Sonic she'll collect candy faster than anyone else in the neighborhood!